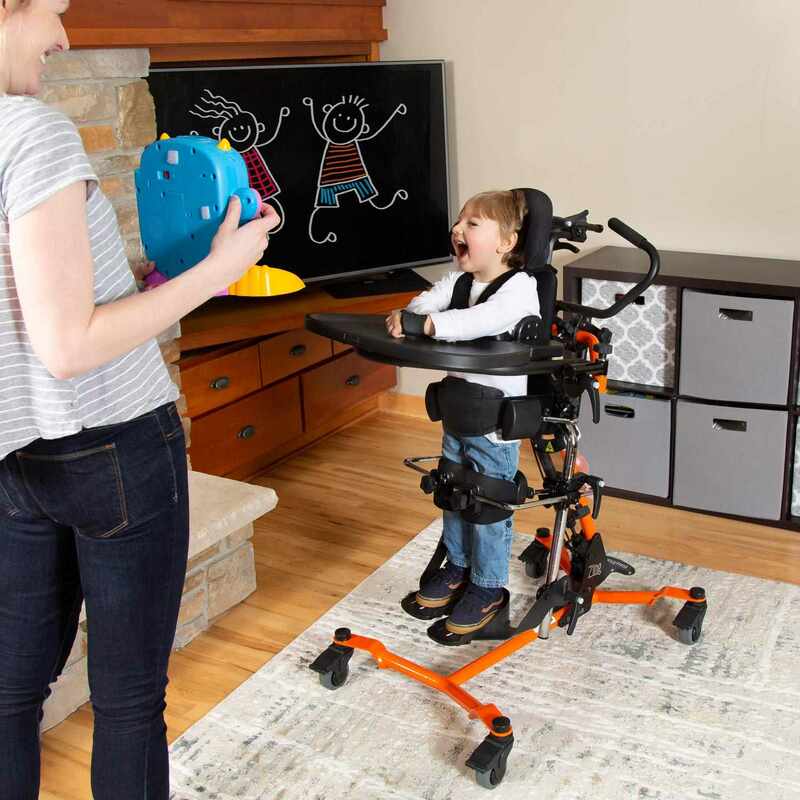 EasyStand zing supine stander offers modular design and options which helps to keep children in optimal postural position while making the standing process easier and less stressful. Less hassle and fewer adjustments makes standing in the EasyStand Zing easier which often leads to increased standing program compliance. 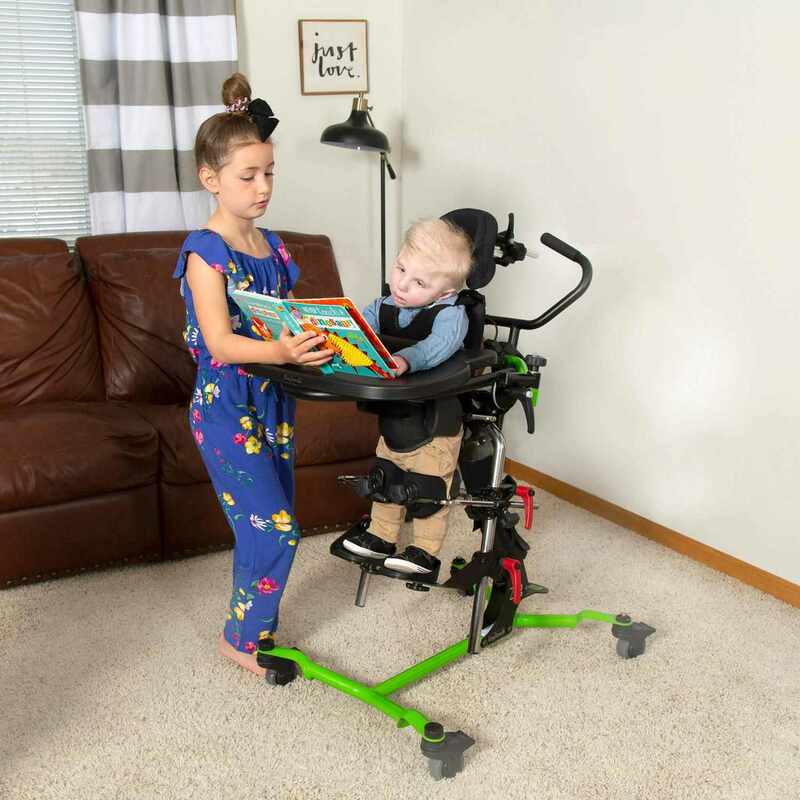 Zing supine stander features an angle adjustable, swing-away tray that may make transfers easier and more activities possible as it gets out of the way quickly, while remaining attached to the unit and easily accessible. 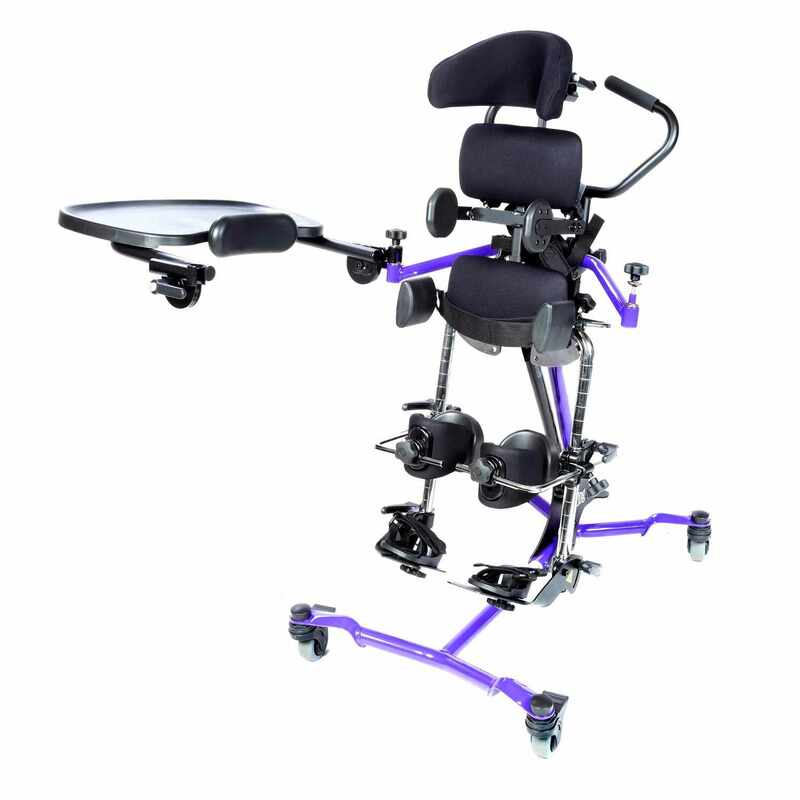 EasyStand zing supine stander helps in accommodating contractures which is accomplished through the use of multi-adjustable knee pads, multi-adjustable calf pads and multi-adjustable foot plates which feature toe-in/toe-out, plantar and/or dorsi-flexion and rotation. 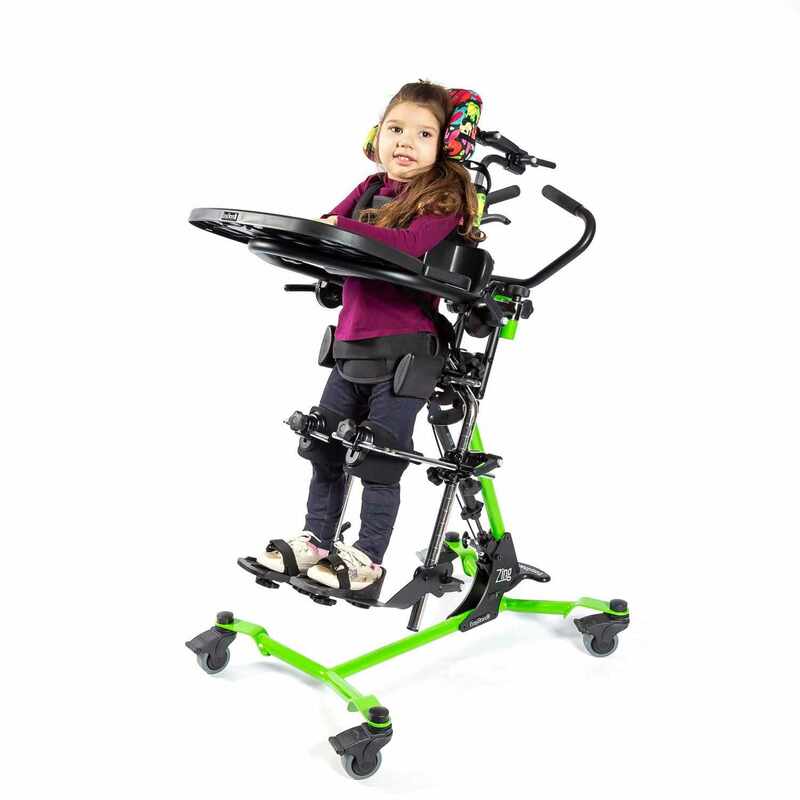 Zing supine stander is a pediatric supine stander that allows for anatomically correct leg abduction up to 30 degrees in each leg. User height range 18" - 44"